Driving north along the pastoral Foxen Canyon Wine Trail feels like traveling back to California’s early days. Rolling hills frame vast meadows, deer and wildlife roam free, and pristine landscapes stretch as far as the eye can see. This peaceful environment enticed the late Fess Parker into buying a 714-acre ranch here back in 1988. The Texas-born actor, who played the television roles of Davy Crockett and Daniel Boone in the 1950s and 1960s, had moved his family to Santa Barbara in the early 1960s and begun construction of a blu top home. When heavy rains caused it to collapse onto the beach, he revised his plans and headed inland. There, he discovered the Foxen Canyon property, where he initially planned to run cattle, plant a few grapes to sell to other vintners, and establish a small winery. Parker, an only child, dreamed of starting a family business that he could pass on to future generations. He asked his children to join him, and they planted a ve-acre experimental Riesling vineyard in 1989. That same year, Fess Parker Winery became the 11th winery to be admitted to the Santa Barbara County Vintners Association. 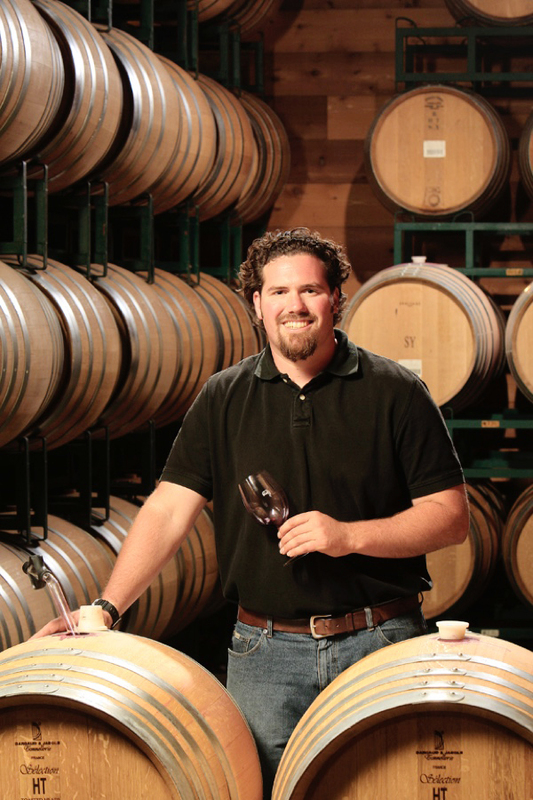 Fess’s son Eli started as assistant winemaker and spent three years under the tutelage of acclaimed enologist Jed Steele before taking the helm. Eli then planted more vines and started a four-year project to build a cutting- edge winery and tasting room. In 2006 Eli was named the André Tchelistche Wine Maker of the Year. Just two years later Eli’s predecessor Blair Fox won the same award making Fess Parker Winery the only winery in Santa Barbara County to boast two André Tchelistche Winemaker of the Year Award winners. Eli Parker and his sister Ashley continue to stay involved as stewards of the family’s vision for the winery while Ashley’s husband Tim Snider serves as President and oversees day-to-day operations. The family’s vineyard is the 120-acre Rodney’s Vineyard, named after Fess Parker’s late son-in-law, at the 400-acre Foxen Canyon Road estate where the winery is located. 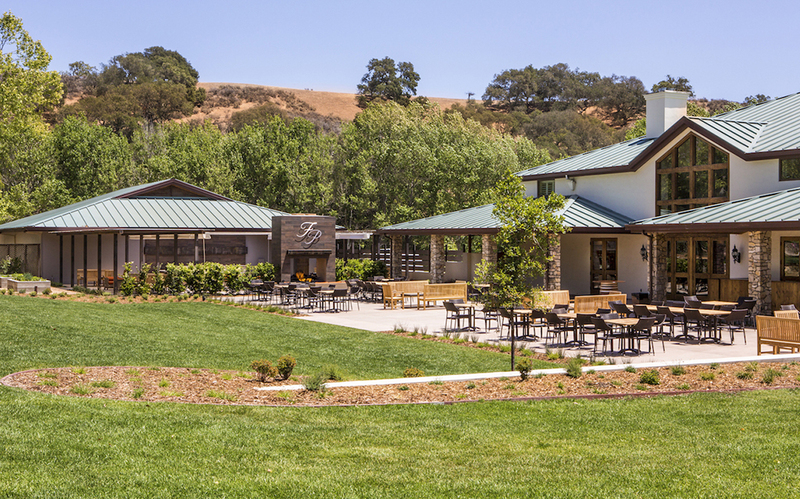 They also source grapes from Camp Four vineyard in the heart of the Santa Ynez Valley, which Parker planted in 1998 as well as vineyards in the cooler Sta. Rita Hills and Santa Maria Valley appellations. In recent years, the winery has sharpened its focus to produce more small-lot, vineyard-designated wines made from high-quality Rhone and Burgundian varietals. 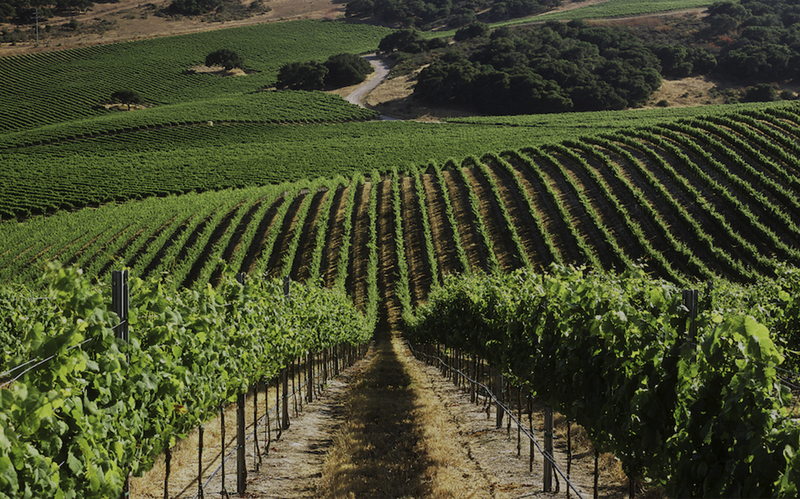 Toggle over the links below to discover some of Fess Parker’s Highly Rated Single Vineyards! Q: What inspired you to pursue a career in wine? A: Was pre-med at UC Davis and stumbled into my first Viticulture class and fell in love with grape growing. From there I took all of the Enology coursework and was the first year to graduate with a combined degree in both Viticulture and Enology. There was always wine on the table at my house and my parents travelled the world seeking out new wines and wine regions. Q: What are your roles and what do they involve? A: I am very hands-on with the grape growing process. I determine the cultural process in the vineyard such as leaf pulling, shoot thinning, clusters per vine/positioning. I choose when to pick the grapes based on avor and maturity. I determine logistics between our two facilities. With my Associate Winemaker, I taste all the barrels, create all the blends for each speci c program. There is also a lot of management of personnel. Q: Describe your typical day during harvest. A: It can vary! I can be in the vineyard at first light helping with picking grapes to helping hose down the floors at 11pm! Q: What is it you find most appealing about Los Olivos? A: It is a beautiful area to live and raise a family. Santa Barbara is an amazingly diverse area to grow the absolute highest quality grapes from the very cool Santa Rita Hills (Pinot Noir, Chardonnay and Syrah) to our estate Rodney’s Vineyard in Los Olivos which thrives in Rhone varietals such as Syrah, Grenache, Petite Sirah, Viognier, Marsanne, etc…. Q: What do you like to say when you make a toast? A: Typically, “CHEERS!”. Usually it is customized to the event or situation.